Sun Anemos is a yacht that perfectly combines design with performance. 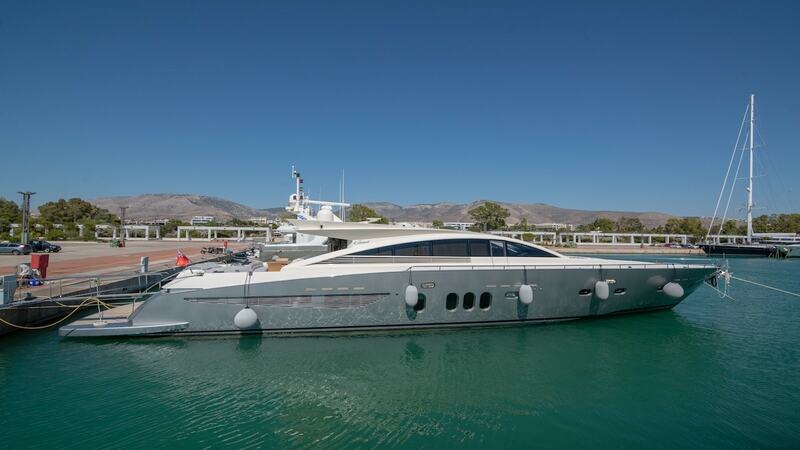 She features modern and elegant interiors with several comfortable spaces ideal for relaxation. The yacht comfortably accommodates up to nine guests in four luxurious cabins and boasts a particularly spacious master suite. Sun Anemos stands out for her speed, reaching a maximum of 40 knots, powered by two MTU engines. She features numerous amenities and a wide range of entertainment options.